2007 Arizona State Sun Devils season preview from Maddux Sports. Below you can find our official Arizona State Sun Devils football preview as well as the 2007 Arizona State Sun Devils Football Schedule. Dont miss Maddux's free college football picks taken from the weekly college football odds from the #1 sports handicapping team. Last season saw the Arizona State Sun Devils (7- 6 overall, 4-4 PAC-10) tied for 5th in the PAC-10 and go onto the Emerald Bowl where they lost to Florida State 27- 44. The team scored some points but it also gave up too many. The result was the firing of coach Dirk Koetter and the hiring of Dennis Erikson, who brings a 148- 65- 1 record. Joining him are a new offensive coordinator, Rich Olson, and a new defensive coordinator, Craig Bray. The offense will be aggressive, featuring quick passes, the shotgun and a bust out running game. Junior QB Rudy Carpenter (55.4% COMP, 2,523 YDs, 23 TDs, 14 INTs), who played with two broken hands last season, will be aided by good health and the shotgun. Additionally, the new plan is to focus on running first, which will take some pressure off of the QB. Senior RB Ryan Torain (223 CAR, 1,229 YDs, 7 TDs) can tear up the field. He'll be helped by an experienced frontline. The receivers are for the most part untested. Although they can make catches, there's no go-to guy for big plays or third down conversions. The Sun Devils' defense must perform better. In the past, the front four have been deficient, and they don't look very promising this season either. It's hoped that junior college standout MLB Morris Wooten can become a major factor on the team. He joins a fairly sound line-backing unit. FS Josh Barrett (3 INTs) is one of the conference's best defenders; he has speed, smarts and strength. At the corner, senior Justin Tyron offers well-honed skills and finely tuned instincts. While the offense scored 26.8 PPG, the defense gave up 25.1 PPG. The first is not enough and the second is too much. The hiring of Erikson and company could change that. Two games that could go either way—Oregon and Arizona—might mean the difference between playing a bowl game and watching one. The Oregon Ducks led the conference in offense last season and most of those starters return. The hope is that QB Dennis Dixon will be able to perform better and that his receivers will handle the ball properly. The defense gave up too many points and must shut down the run. For more info on the 2007 Arizona State Sun Devils football program, view the Sun Devils football site or you can read about other Pac-10 teams below. All of the Pacific Ten teams are listed below. Each link gives our individual team preview for the PAC 10 colleges. For non Pac Ten teams visit this years college football preview page. Whether you are a west coast football junkie or not the PAC 10 Conference Preview is worth a quick glance. The Pac Ten figures to once again be a quality conference featuring teams like Oregon, USC, and Cal and the PAC-10 preview page lets you know where we think the teams will end up at seasons end. 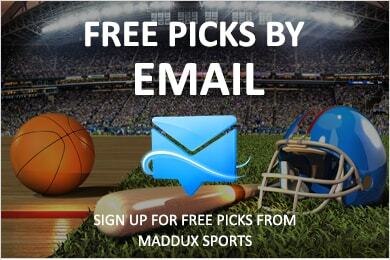 Our home page features College Football Predictions from Maddux Sports!